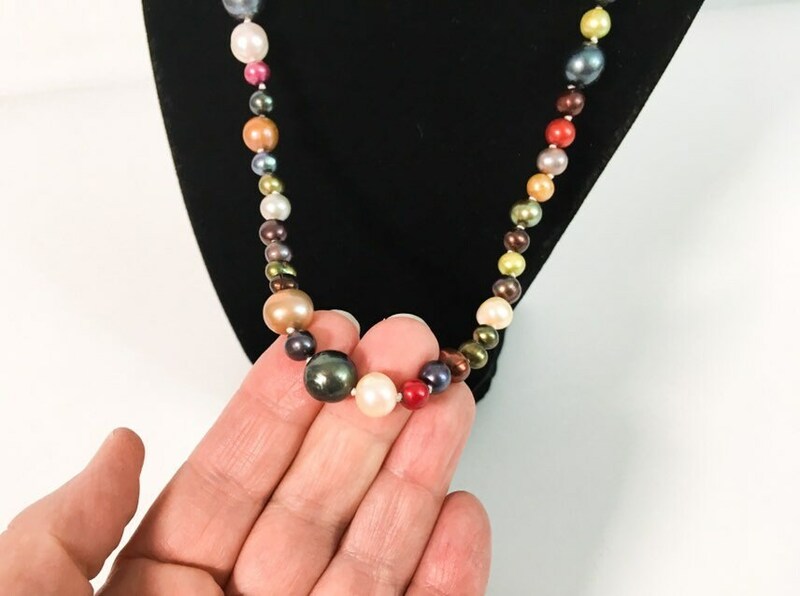 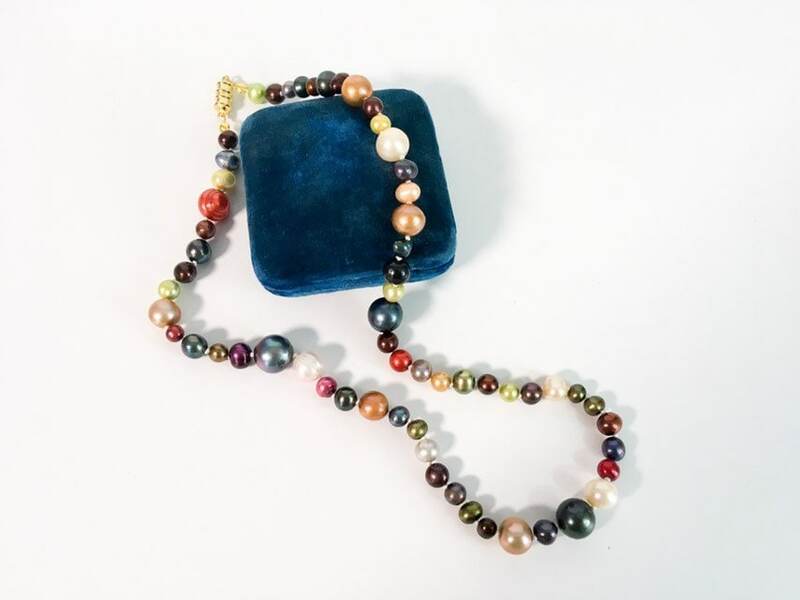 A wonderful and colorful freshwater pearl necklace that features dyed freshwater pearls in dark red, blue, light green, dark gray, teal, cream, tan, olive, purple, and brown. 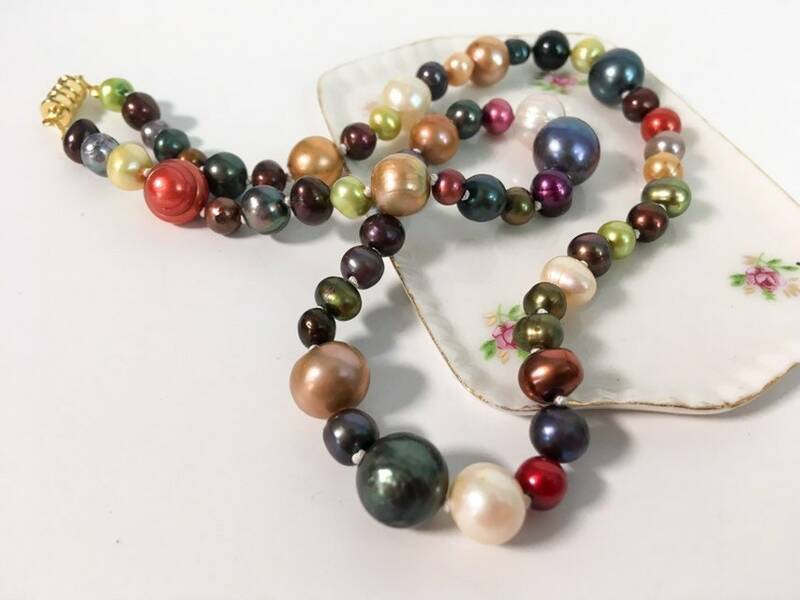 The beads were from a 1980s necklace and have been restrung on silk cord and individually knotted between each pearl. 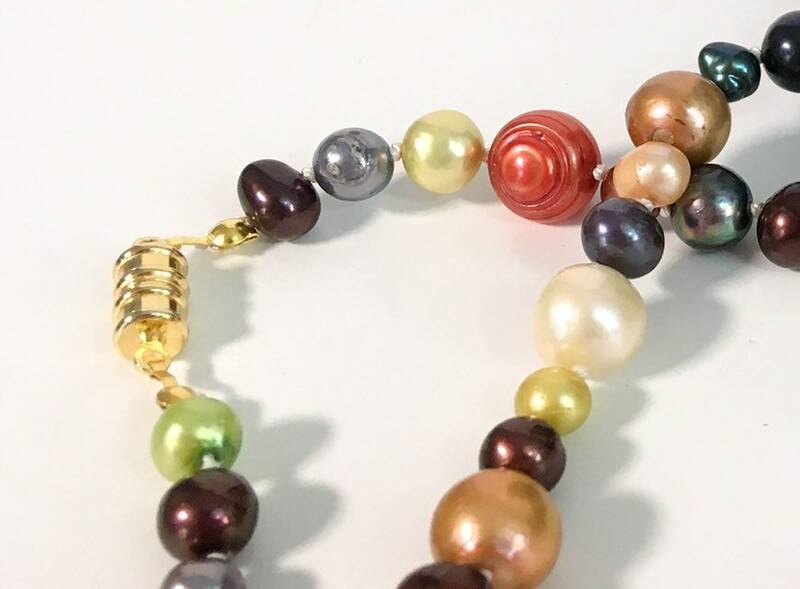 The closure is a gold tone metal magnetic closure making this very easy to take on and off. 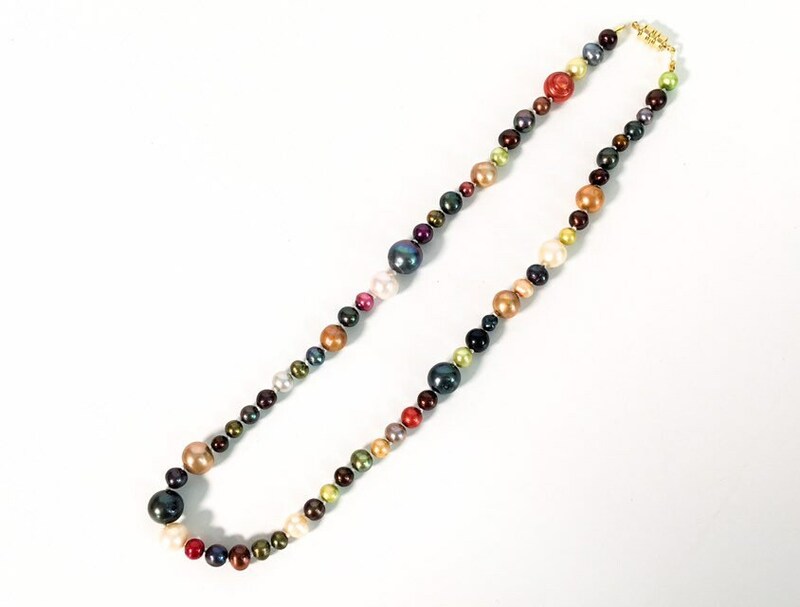 These beads were restrung from a 1980s necklace on silk cord and individually knotted in between each pearl. 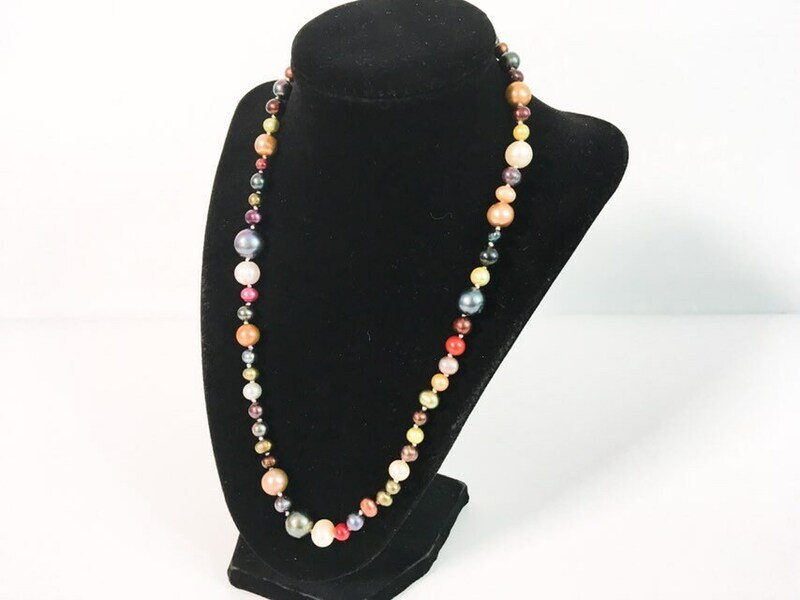 Measures 20" in length which is Matinee Length. 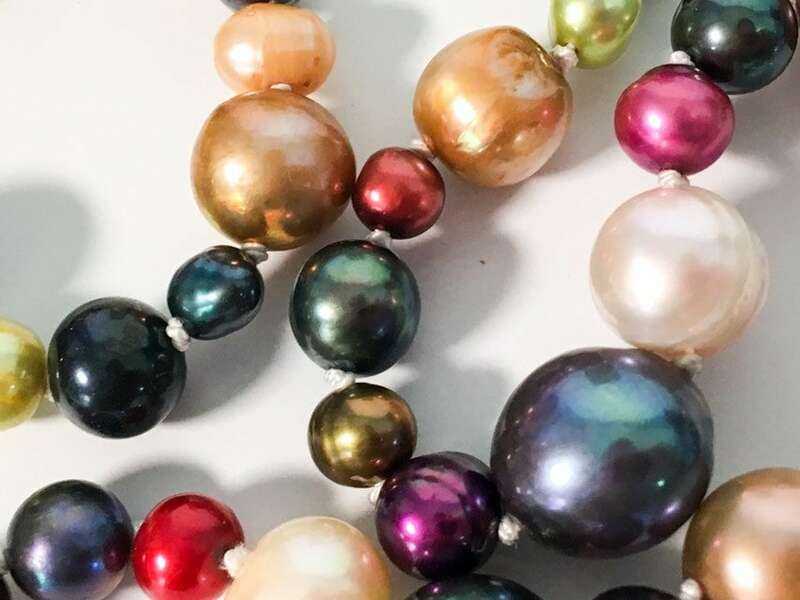 The pearls range from 5.5mm to 13mm in size. 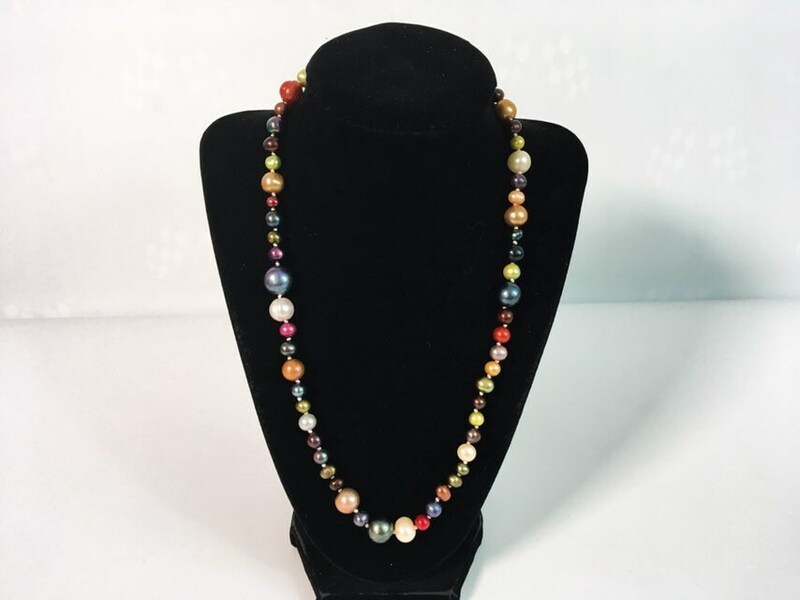 The necklace is in nice vintage condition and looks great! 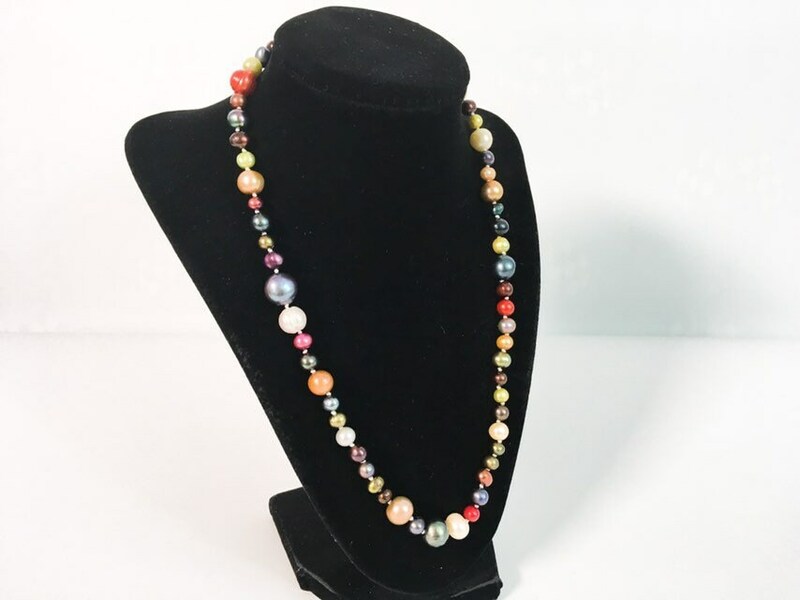 Add some color to any outfit with this retro rainbow string of dyed freshwater pearls.